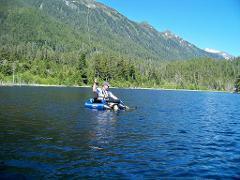 You will enjoy 4 peaceful hours fly fishing from a kickboat. There are 4 lakes to choose from that contain freshwater fishes that readily take flies. Your still water excursion will begin at our fly shop where you will be outfitted with the appropriate gear for your trip. you will then be transported to the trail head or lake by passenger vehicle where you will either begin fishing or hike to the lake to fish. Swan Lake is the easiest to access with drive up access right to the lakes edge. 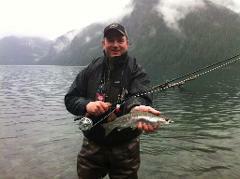 Swan lake contains Cutthroat and Rainbow trout and Dolly Varden Char. Swan Lake is the best fishing but also the most developed of the lakes. 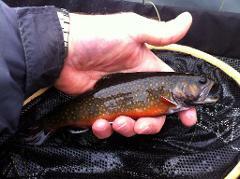 Thimbleberry and Heart lakes have Brook Trout. 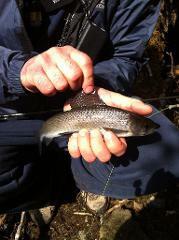 These small fish are aggressive and readily take dry flies. The lakes are more remote feeling and require a short hike to access from the road system. 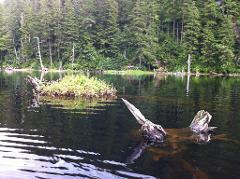 Beaver lake is a moderate hike from the end of the Sitka road system. The hike to Beaver Lake is very scenic weaving up the side of a ridge through pristine forests and past waterfalls and alpine meadows. 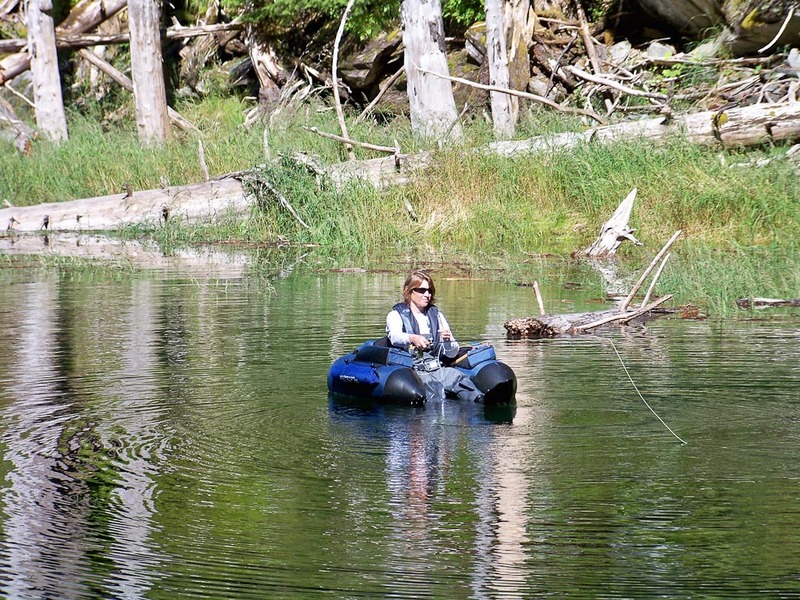 The hike takes less than an hour and along a groomed trail and when you arrive at Beaver Lake you will inflate your kick boats and fish for Arctic Grayling in a remote and beautiful setting. Your guide will assist you with deciding which lake will best meet your needs and what gear is appropriate for that lake. This is a great way to get out and strech the legs.